Mexican moose lasagna - three cuisines murdered at one go! 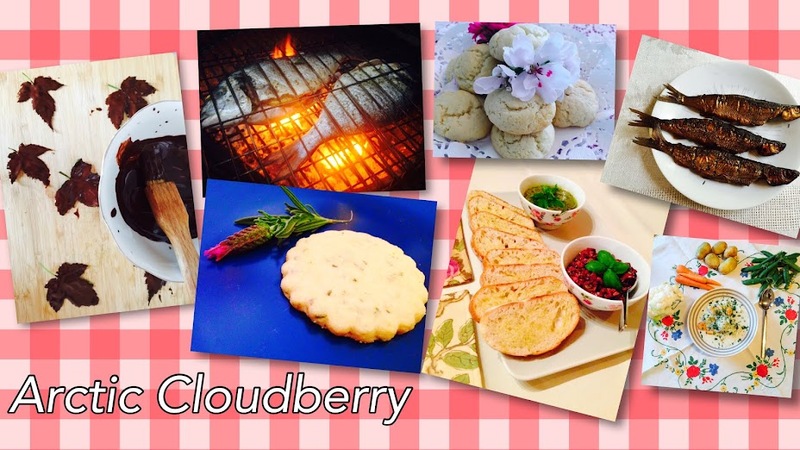 - Arctic Cloudberry Arctic Cloudberry: Mexican moose lasagna - three cuisines murdered at one go! 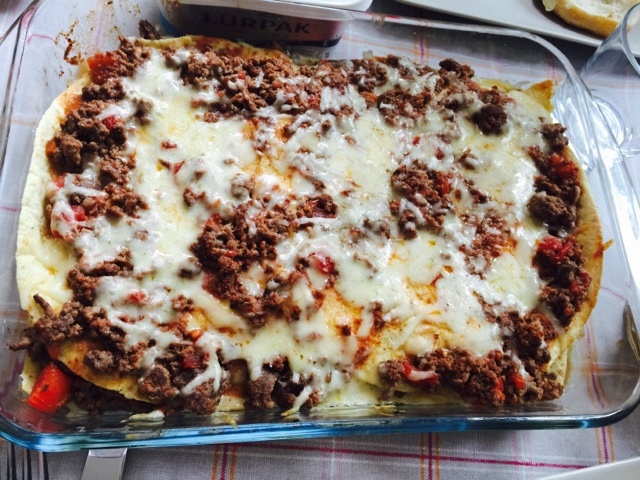 Mexican moose lasagna - three cuisines murdered at one go! This is a fantastic dish. It's satisfying and comforting just as a proper lasagna but quicker and easier to prepare. You can use ground beef, but whenever possible I opt for ground moose for the taste. I made this as an easy quick lunch before heading for the airport today. In the picture it's looking a bit pale because we were running out of time. It could have had another 10 minutes in the oven. I just realised I forgot about the black beans but hey ho. It was really nice as it was. And I always like a good shake of Tabasco on top. So go for it! On the table husband was having words with his youngest one about respect for things people have bought you after finding a pair of trainers all wet and muddy in his bag. I have to say I agree with the kid's defense, it's not always easy to know in the morning when you put your shoes on and leave the house whether you will end up in muddy circumstances or not. And one can't very well carry a pair of wellies with them all the time. But I also get husband's frustration as the person who just paid £50 for a pair of new white trainers for the same kid. Maybe not the ideal colour if you're uncertain about the muddiness of your daily environment. They are so similar. Husband was the ultimate muddy trainers kid and regularly got into trouble for all sorts of things. And got a regular smack in the head for his misbehaviour. The problem today is we can't smack the kids anymore. In the head. Just kidding. Chop the onion. Heat oil in a deep pan. Fry onions until softened and translucent. Add minced garlic and continue frying fir a minute. Add the ground meat and cook until meat is browned. Add the passata and stock, salt and pepper. Feel free to add some herbs of your liking as well. If you like it hot add red pepper flakes or chilli. Cook on low heat for at least half an hour. The longer you cook the nicer it will be. Add the beans and check the taste. On the bottom of a lasagna dish ladle some of the sauce. Place two tortillas on top and add more sauce. Keep layering like this adding a little sprinkle of cheese every once in awhile. Cover the last layer of tortillas with the rest of the sauce and top with a good handful of cheese. Bake in a 200C oven for 20 min or until the top has got some nice colour. Nice 'n easy! I'll try this and no doubt we'd have even more spice added due to a certain someone's obsession with it! That is some impressive fusion! I like the idea of using the tortillas in place of the lasagne. :) It really works - might not be the world's most elegant concoction, but it's tasty!